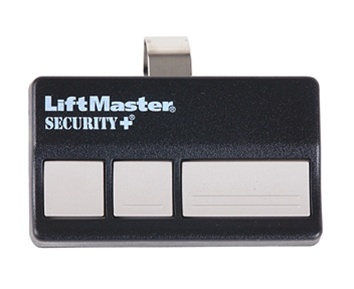 Liftmaster Sears Chamberlain 3 button remote 973LM 390 mhz. NO LONGER AVAILABLE. PLEASE ORDER THE 890 MAX OR 893 MAX. Works with all Liftmaster, Sears and Chamberlain garage door openers, utilizing the 390 Mhz frquency.